Wake 96, Wake 98 and Cook DXpedition Coordinator. Don was first licensed in 1961. He also holds DXCC Top of the Honor Roll. His operations include A52A, VP9, VS6, BV2, 4X and A6. Don has many plaques on his wall from contest entries as A61AD. 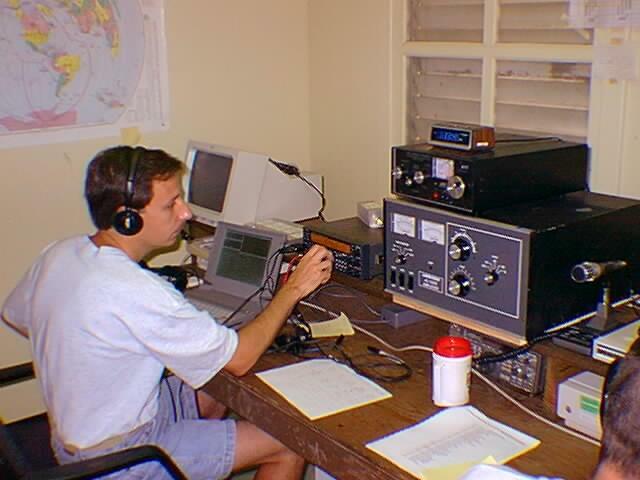 An avid cw operator and member of FOC, he is was also the Wake96 Satellite and RTTY operator. Instead of travelling these days he is hosting web sites for some of the recent BIG dxpeditions. 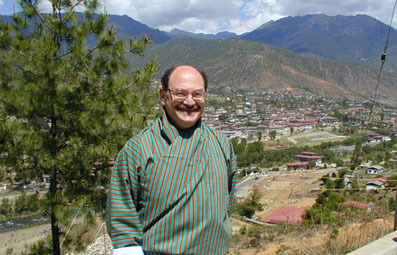 Don is President of Aurum Telemedia Co. a distributor of computers and telecommunications services. An accomplished musician with mulitple television appearances and records, Don has been moonlighting as a Tubist with local symphonies. In his spare time (RIGHT!) he is often seen on his Harley Davidson Softail Custom (without the Tuba). Wake 96 Computer Guru, Top band specialist. Bob was licensed 1956, and is also an avid DXpeditioner. He was active as VK0IR (Heard '97), VP5Y, N6EK/C6A, XE2GBD, N6EK/VE7, N6EK/1 (NA-148), HD8D, N6EK/HC8, XE2GBD/XF3 (NA-90), J76EK, XE2/N6EK/XF1 (NA-189), and 3D2EK (OC-121/OC-156) Bob is an advisor to the NCDXF, for whom he designed and fabricated their new beacon system. Bob studied Electrical Engineering. He founded and lead the project that produced Berkeley Unix at the University of California, where he worked as a professor in Computer Science. He is now retired. Licensed since 1959, Lloyd is a active dxer and contester. He holds CW DXCC-325, and a member of RSGB, Chiltern DXC, Athens (GA) RC and life member of ARRL and QCWA. First licensed in 1964 at the age 16 in Portsmouth, VA as WN4YBV. Upgraded and has retained original call, WA4YBV to present. Early interest in technical aspect of amateur radio coincided with interest in Dxing. Knew Tom Harrell, then K4TSJ in their early years as hams. After high school entered U.S. Marine Corp serving four years with tour in Viet Nam. Also served tour on Okinawa and operated as KR6MH. After returning home attended college and graduated with degrees in Electrical Engineering and Business Administration. Because of interest in radio and electronics choose employment in 1970 with General Electric designing television tuners. While at GE came to know Jim Thompson, W4THU, better known as The Radio Works! After 12 years with GE decided to chase his lifelong dream, that of law enforcement. Currently serving the citizens of Portsmouth, VA at the rank of Patrol Sergeant in the Portsmouth Police Department. Periods of inactivity have not removed serious interest in DX. Present DXCC totals at 300+ and special interest in low bands. Still maintains interest in the technical areas of radio especially the homebrewing of amplifiers. Other interests are boating(a big one!) and motorcycling(police harley of course). Advanced class; mode of choice-SSB with primary interest DX, DXCC totals over 300. First licensed in September 1983 as N4JIW. After upgrading obtained AB4AE. Under vanity now N4RF. Born and raised in Atlanta, GA. Active in all areas of DX and currently at 313 countries confirmed. Also interest in satellite operations. Past work experience with Hayes Microcomputer Products of Atlanta as a systems engineer In 1993 commenced work with BellSouth Mobility DCS in Charlotte, NC as a Systems Performance Engineer doing operational work on the new 1900 MHZ PCS communications systems. Extra class; mode of choice-SSB with primary interest being DX. DXCC credit currently at 307. Born in Sioux Falls, SD but reared in the Los Angeles area. First licensed as K6BVN but after a period became inactive and license lapsed. Renewed interest and became active as KI6AN in 1987 after retiring from GTE Sylvania after 29 year career as an electrical engineer. Relocated to Paradise, CA and commenced second career in electronics doing field engineering work in the security field for Perimeter Products in Mountain View, CA. Now fully retired. Five year U.S. Navy veteran serving in the aviation electronics field. Outside interests include golf, RVing and car racing. Extra class; mode of choice-CW with primary interest DX and contesting, DXCC total at 319. American Radio Relay League, Shasta DX/Contest Club, Masonic Lodge, Northern California DX Foundation, Inc.
First licensed in 1954 at the age of 13 in Bellingham, WA as W7VRO. With an early interest in DX and using homemade yagis and wire antenna, made DXCC quickly. Upgraded to N7RO in 1977. Remains active in all phases of DX and DX related activities. Currently Northwestern Division representative for ARRL DX Advisory Committee(DXAC). Operated N7RO Outgoing QSL Bureau for 13 years until 1995. Managed QSLs for over 75 different stations since 1963. Avid contest operator both as single operator and multi entries with station equipped with multiple towers and radio positions. Also active in IOTA program. Employed by a engineering company that designs and manufactures specialized electronics for the logging industry and security equipment for banks world-wide. Other hobbies include bowling, RVing and sprint cars. Extra class; mode of choice - CW with primary interest DX and Contesting, DXCC totals over 350. DXCC #1 Honor Roll, DXCC Honor Roll-Mixed,DXCC Honor Roll-CW,DXCC Honor Roll-Phone, 5BDXCC, WAZ-Mixed, WAZ-CW, CQDX Honor Roll, Clubs and Association Memberships, American Radio Relay League-Life Member, Northern California DX Foundation, � Western Washington DX Club, Fraser Valley DX Club. First licensed in 1991 as ZR6TAA and upgraded to HF privileges in 1993 as ZS6RI. After relocation to Natal, Republic of South Africa obtained ZS5IR and became active in Dxing and contesting with ZS6EZ. Operated as 3DA0Z in 1994 and later as 3DA0/ZS6RI and C9/ZS5IR. Enjoys Dxing and contesting. Serves as CW examiner and test moderator for the licensing process. Operated from Marion Island as ZS8IR from March 1996 to May 1997 on all bands with special emphasis on 80 and 160 meters. Trained as an Advanced Medical and Trauma Care Paramedic to provide advanced life support medical treatment in remote areas where no medical assistance is available. Most recently served as Medical Officer on Marion Island, South Indian Ocean for the South African Department of Environmental Affairs and Tourism. Other interests include running, yachting, photography and scuba diving. Mode of choice - CW with primary interests being Dxing and contesting.